Skateboarding has been one of the fastest growing sports ever since it became popular in the early 70’s. Today it is one of the biggest sports in the world generating skateboarders from hundreds of countries. As skateboarding is turning itself into a large business opportunity there are enormous number of creating products. Thousands of companies create the core products for a skateboard which include the board, wheels, bearings, bushings, hardware, and trucks. They are all very important in making a skateboard be able to be used. In my opinion one of the most important pieces of a skateboard other than the board itself would have to be the trucks. Picture the axels of your car but only much smaller. That is why I am providing my own experience to better help new and old skateboarders to choose a better truck. I have been skateboarding for over ten years and I have ridden hundreds of boards, a handful of wheels and hardware, dozens of bearings, and probably six to eight pairs of trucks. When I first started skateboarding I was new to the sport and skated whatever I could get my hands on. My parents bought me a new skateboard for my birthday with everything included. It was all orange and blue to match my favorite basketball team the New York Knicks. I picked this certain pair of trucks just because of the color, they happened to be Venture trucks. In the beginning I wasn’t very good and did not know exactly what I preferred to skate now. The trucks did their duty. They held me up and helped me learn to do my first ollie. Unlike then, today I ride Independent trucks as loose as I can get them. When my board goes off rolling on its own it shakes as if it can’t go straight at all. Back when I first started my trucks were very tight, making it difficult to turn by merely leaning on one side of the board. I in fact loved my first pair of trucks until I realized what I did not like about them. For one the hardware holes were difficult to reach with certain types of tools. This aggravated me because I was not able to use the multitool I had purchased just for skateboarding. I can remember saying things to my friends along the lines of “Venture should really move the hardware holes or make it so the axel is not right over them.” Being at the skate park or in the trunk of my friend’s car it never failed to be a difficult process just to tighten my hardware. It could be a very small adjustment to the design to make it easier for the hardware to be reached. One would think that a successful company in a huge industry could improve their product to be easier used. I would not recommend Venture trucks to anyone who is looking to get a new pair, but I do know some people that would live and die for them. For me they were an okay pair of trucks that did the job but were not the best in the business. Being the genius I was back then I decided that getting another two pairs of Venture’s would be a good idea even though my first pair did not work out so well. Why my first pair didn’t work out so well you ask? Well for one the most important part of the truck itself would have to be the king pin. My first pair of ventures ended so quickly because the kingpin snapped in two. This caused the top part of the truck to be flung over my head after an attempted trick. Of course I was super bummed to find out it broke and that I had to get another pair. So what do I do? I go to the shop and I decide it would be a good idea to get another. And what do you know, that very pair would in fact do the same exact thing to me no more than six months later. Needless to say this was a huge disappointment in this type of truck. The very disturbing part though is that I bought yet another pair that proceeded to snap in two pieces as well. So now I have three old pairs of Venture trucks with all three broken in two. Need I remind you I was not very good back then so it couldn’t have been from skating so hard they wore down. It is very disappointing that a company that produces mass amounts of its products does not match up with the amount of wear and tear it is most likely to go through. I would recommend that Venture look over their specs for their trucks and make a few arrangements to better the quality. Maybe perhaps they could use a strong alloy in the making of the trucks to ensure they will last longer and be stronger. 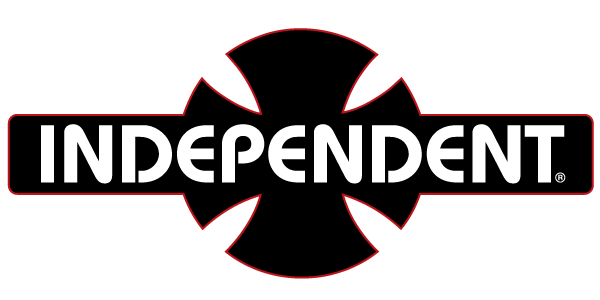 I know now that Independent comes out with a new form of their trucks periodically just like the new software updates for the iPhone. Independent is always looking to improve their product and does so very well by working out kinks and strengthening their trucks while simultaneously making them lighter. I feel obliged to inform the skateboard community and give my review of this product so that in the future no one will feel they have been sold ineffective products. What I will recommend to any readers or anyone who ever asks me what trucks they should ride is that you should pick up a pair of Independent trucks. I have been riding them now for almost 2 years and have only gone through two pairs because I have moved up sizes, not because they have been ineffective. I would also recommend as a second choice Thunder trucks which are equally as great and well-made as Independent trucks are.